The Haväng dolmen (Havängsdösen) is a megalithic tomb from the early stone age, approx. 5.500 years old. 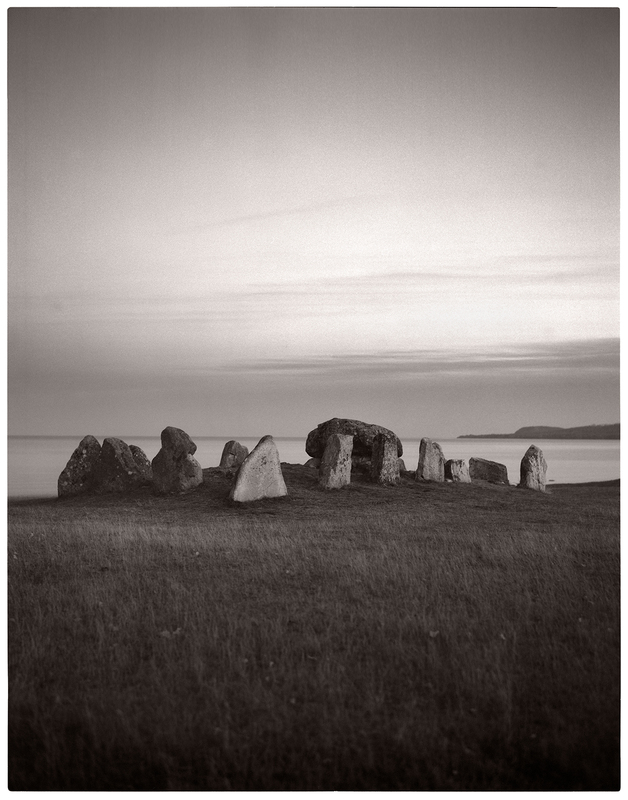 It was built during the older phase of the funnel-beaker culture, and is located in Österlen Skåne, just north of where the river Verkeån runs into the sea. The tomb itself consists of 3 sidestones measuring 1.65×0.5m and a 2.7×2.0m roofstone, surrounded by a rectangular wall of 0.6-1.2m stones covering a total of 60 sq/m. The entrance is faced towards the sea, in the direction where the sun rises and the autumnal equinox i.e, the astronomical beginning of autumn when the duration of day and night are approx. the same and the Sun crosses the celestial equator. Skeletal remains and a flint axe were found during excavations in 1869.